The slow wheels of justice ground out another conviction Thursday in the case of two women who were robbed in Boystown after the 2013 Pride Parade. Gravielia G. Guajardo, 35, received a 5-year prison term in exchange for pleading guilty to one count of robbery. Off-set by two years of time served in Cook County Jail, Guajardo will likely be released early next year. 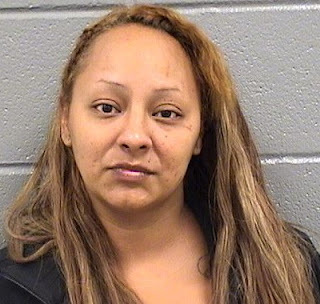 Guajardo and Michael Quinones, 27, were accused of approaching two women near Halsted and Barry around 11:30PM on Pride Sunday 2013 and robbing them at knifepoint. Qunones pleaded guilty to robbery this spring and received a 12-year sentence. He previously did time for armed robbery and carjacking, court records show.